The relaxation of road traffic legislation in Scotland is a rarely seen phenomenon. 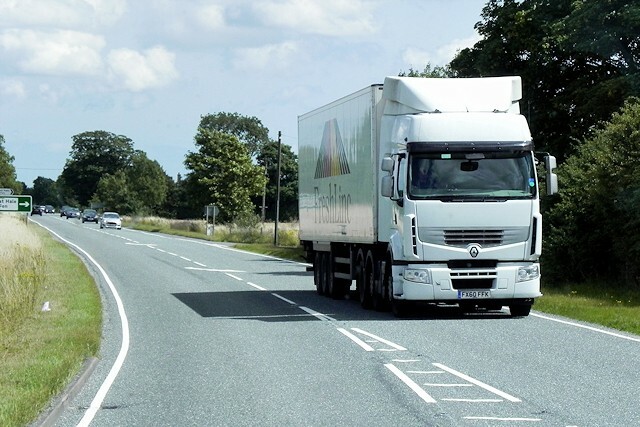 The HGV Speed Limit (M9/A9 Trunk Road) Regulations 2014 came into force on 28 October 2014 and brings with it a modicum of order and common sense to the regulation of permitted speeds pertaining to different classes of vehicle. We have all seen the patronising gantry signs which helpfully tell us that frustration causes accidents. Any driver who has travelled along the A9 knows the frustration of being stuck behind a convoy of HGVs at 40mph, just waiting for the dual carriageway to open up The problem was always the differential in speed limits which applied to regular motor cars and HGVs on the single carriageway stretches. Thankfully common sense has prevailed and the applicable maximum speed limit for HGVs is now increased to 50mph. We have spent a lot of time in the Courts in Inverness and Perth over the years. Speed related prosecutions form a large part of the business running through these jurisdictions. It was, however, a source of eternal frustration that HGV drivers would find themselves in Court for borderline speeding offences at 50mph and car drivers would be on the wrong end of a Court citation for overcompensating for the delay on the overtaking stretches. Driving licences have been lost as a consequence and the A9 gained a reputation for being a dangerous road to travel. The A9 is not, and has never been, a particularly difficult road to navigate. It has some stunning scenery and, if you could avoid the bad weather, it is actually a rather nice drive. The issue has always been how long it can take to drive. Just from personal experience, it was always very difficult to predict our time of arrival in Court whenever the A9 was involved. It was also very apparent why Inverness Sheriff and Justice of the Peace Courts were so busy dealing with bad or objectionable driving. We have delivered many a plea in mitigation which referenced the speed limit differential for motor cars and HGVs, with varying degrees of success it has to be said. It can be difficult to criticise laws in open Court and find a source of mitigation which could have a bearing upon sentence. At at time of increasing criminalisation within the sphere of road traffic law, it is refreshing that the powers that be have kept an open mind and opted to relax the speed restrictions for HGVs rather than simply switching on the average speed cameras. We remain hopeful that the HGV Speed Limit Regulations will restore some balance to the A9 and make the journey a little more pleasant and relaxing for drivers of all class of vehicle. It is an unexpected change which we wholeheartedly commend.